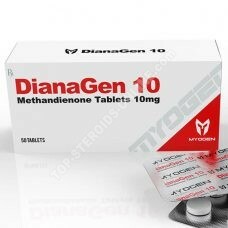 Because of its reduced anabolic power, Metenolone acetate is most often used in stacks and during slimming periods. For a larger weight gain, athletes stack Metenolone acetate with anabolic steroids. PRIMO 25 (methenolone acetate) is a product for a dry cycle. Box of 100 tabs, 25 mgs / tab. It also has a fat-burning effect and transforms fat into muscles. Great product for slimming cycles. 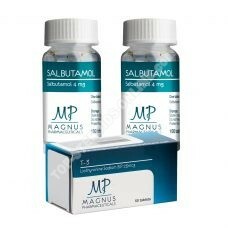 It combines very well with Winstrol , Clenbuterol or even Cytomel. 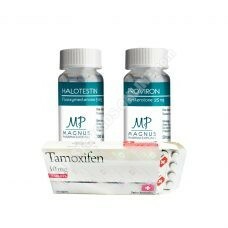 Always use with Testosterone so as not to lose muscle mass. If taking to gain lean muscle mass, this product combines very well with Anajet, Parabolan, Masteron, Nandrolone, Boldenone, Testosterone or with oral steroids such as Androlic, Dianabol ou Anabol,.